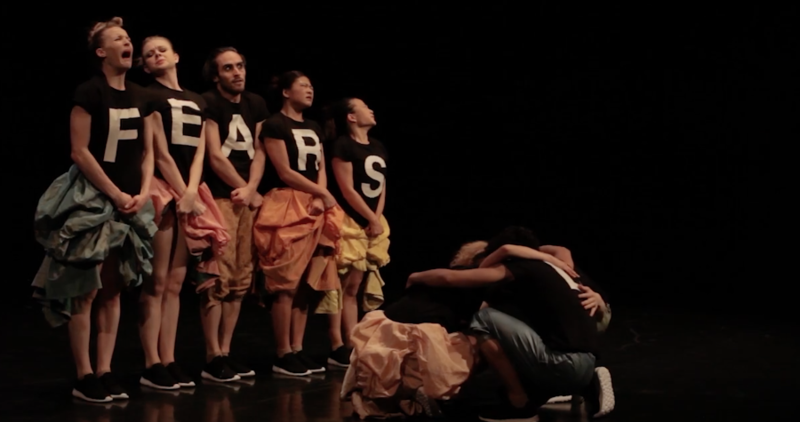 Created for the Delattre Dance Company, was performed as world Premiere in the Mainzer Kammerspiel Theatre in Germany (2018). Ballet evening from the Delattre Dance Company, under the artistic direction of Stéphen Delattre. Choreographed by Lucyna Zwolinska, Louis Stiens and Stéphen Delattre. This production was performed in 2017 as World Premiere at the Mainzer Kammerspiel Theatre in Mainz (Germany). Choreographed by Ricardo Fernando, Kaloyan Boyadjiev, Jorge Garcia Pérez and Stéphen Delattre. This production was performed in 2016 as World Premiere at the Mainzer Kammerspiel Theatre in Mainz (Germany). The historical novel of "Notre-Dame de Paris", published in 1831, is probably the most famous work of the great French author Victor Hugo, next to "Les Misérables". The well-known book has influenced and became the basis for many stories, movies and plays, namely "The Hunchback of Notre Dame". The Delattre Dance Company is now presenting this celebrated narration in a fresh, neo-classical and modern ballet version. The choreographer Stéphen Delattre brings back to life its novel characters within his own typical words and world, in an emotional poetic ballet style. Choreographed by Can Arslan and Stéphen Delattre. A Ballet Evening of the Delattre Dance Company, under the artistic direction of Stéphen Delattre, Choreographed by Stéphen Delattre, Can Arslan and Maurice Causey. This Production was performed in 2015 as World Premiere at the Mainzer Kammerspiel Theatre in Mainz (Germany). A Ballet Evening of the Delattre Dance Company, Choreographed by Stéphen Delattre, Regina van Berkel and Marco Goecke. This performance was performed as World Premiere in 2014 at the Mainzer Kammerspiel Theatre in Germany. Created for the Delattre Dance Company, was performed as world Premiere in the Mainzer Kammerspiel Theatre in Germany (2014).